I receive this morning the gordian knot, it’s very beautiful. Thanks for your quick ship. I still buy another jewellery. Thanks you very much. " Many thanks for the beautiful ring - it arrived safely and in time for a birthday present. Love and Blessings to you all. " I received my order on the 17th. It was perfect timing and exactly when I asked them to be delivered by. My friend absolutely loved the piece that I got her. The pieces are gorgeous, and hold such a lovely energy, I love them all. Many thanks to you all and especially to David. I look forward to making more purchases in the near future "
Ps wishing you and ka gold people all the best "
The ring arrived on Friday,and it's a beautiful piece, looks a lot better than the pictures on the website. I could immediately feel the energy of it. " I just received the rings, they are wonderfull, perfect!! You made my best friends the happiest couple in the whole world.
" Hello, I am writing to tell you today that I received my Flower of Life. It is very beautiful. I tell them that I began to feel its energy when it hung on my neck. Thanks. I just received the package. I love the items very much. Thank you and please let David know they are all very beautiful and I am happy. You do great work and are a very talented artist. Blessings to you and all. " " I have just received the order. I have both rings on and I'm ever so pleased! I find myself distracted for writing to you and admiring the rings. Thank you and please complement David on his design. Perhaps I will be able to order additional pieces closer to the holidays. Take care & Bless. " With all my heart I thank you for your work under my order. Things of simply inexplicable beauty, also it is assured, the same huge force. I do not say goodbye, and simply I speak to the following time. I received my order today! Thank you so much for all of your help! I am sure they will be a big hit! I received the pendant today- thank you so much -it is beautiful. I hope to be able to order other things from your website- I like them so much. Blessings "
Just wanted to let you know that the peace crane ring arrived safely today -- it is exquisite. Many thanks to you and David.
" Hi, I am just e-mailing you to let you know that I have received my order and once again it is beautiful. It has fulfilled my expectations and beyond. David is a master craftsman and spiritualist. Thanks once again for doing the extra engraving work, well worth the extra cost. I will be ordering from you again in the very near future. Please tell David keep on his doing wonderful work.
" I have recieved my Star of David Mandala. I love it. Thank You very much. " Once again I’m delighted with such a fine piece of work, thanks a lot. I've just come back from a holiday trip to Cairns, Australia, and received the jewelry. Thank you very much! I liked it so much! Please say hello to David. " Yesterday, I received the ring and pendant. I received the 'present' ring today and it fits perfectly. I love it and will wear it everyday. Thank you for a quality product supported by quality service. Thank you very much received the ring today, top quality many thanks. Thankyou so much for the beautiful ring. It is for my husband and he loves it! After returning from our summer holiday, we did receive the beautiful present for my mother, which she really liked. So thanks again for taking care of it and all the best, "
" Hey thank you so very much. I recieved the rings and they are beautiful. Thank you very very much. " Sorry I am sending only now my blessings and thanks to You for receiving my Mother Earth pendant. It is so beautiful, I have no words to express my gratitude to be able to carry it. I hope I can be worth it, to do my part with others to change the world. Thank You from bottom of my heart. With light and love "
" Got the ring today. It is very beautiful. Thanks for providing your artistic skills.
" I have received the Personal Creation pendant! It looks great and will be worn with pride :) Thank you. Wishing you much light, "
" Hi! I received my pendants today and they are beautiful!!! Many thanks to David!! Be well and blessings... "
I am writing to let you know that I received my ring (and I love it!) this afternoon. It is beautiful, so well made, so full of peaceful and strong energy. Thank you so much! I will order from you again. Best wishes to all of you and David, "
I've received rings, thank you very much, they fit very well. Please pass our best wishes for inspiration for David. Just to let you know that yesterday monday 3 of august we received the rings. We are as always very happy and pleased with your work and your service.
" hello David, my ring already has arrived, is prety thank for every thing. A greeting "
They are beautiful! Thank you so much. " Just a note to let you know the order has arrived. Thank you for such a lovely piece of jewellery. It is a gift for a friend and I’m sure she will treasure it. Today i got my pendent in the mail. It is very beautiful and i really like it. Thank you so much for your beautiful work! " I am happy to report that I received the Merkaba today in good order today. I am wearing it around my neck as I type this message. It is beautiful and I'm very happy with it. Please give my thanks to David. 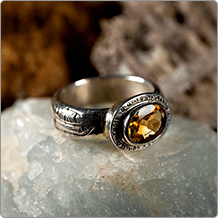 In joy and peace, "
" I am just e-mailing you to inform you that I have receive my new ring and that it has exceeded my expectations. I'm am a fancier of museums, and every time I go to one I always look at their collection of jewelry from around the world, and I remarked myself "they'll never make jewelry like that again", but boy was I wrong. This ring has all the touches of the gold times I can foresee that this ring will become a family heirloom for years to come. And by the way the extra engraving work that you did for me is phenomenal!! it fits the rings personality perfectly thank you so very much for doing that for me, it means a lot to me. Keep up with the truly artistic work you do. I am sure that I will be ordering from you in the future. Yesterday I received in the evening the ring and talisman. Oh how beautifull the are, I couldn’t have dreamed so. Thank David for me en yourself for the good concerns en very quick delivery. this morning I have picked the package up from the post office. It is a beautiful piece of jewellery. I'm writing to let you know that I received my necklace today. It is beautiful. Thank you very much for taking your time to expedite this. I received the three medallions very quickly... they are magnificent! As soon as my fiance and I placed them around our necks we felt the power inherent in these ancient shapes of creation: the sacred feminine energies within the curvatures of the Flower of Life versus the male energies embedded within the angles of the Sri Yantra. A thousand thank-you's, a million blessings and infinite multitudes of gratitude! James Kalivas and Hillary Hanlin "
I received my order today, and I am thrilled with it. It looks even better than it did on the website. I’d like to let you know that today I’ve received the pendant. I’m really impressed by the fine work David has done! Please give my thanks to him. ps. I’ll be placing a new order soon. " I received the pendant today, it is really beautful!!!
" Hello, your parcel arrived today. And the Christ consciousness pendant is very beautiful.
" The pendant has arrived and I am happy to let you know that I find it beautiful! Many thanks for David and the colleagues. I want to let you know that I received the package this morning. I'm verry pleased with it. This morning I received my order.Both Flower of Life and Merkaba are beyond my imagination!!! They are as sparcly as stars.I am very delighted concerning the manufacturing and fast sending.David made two masterpieces.I looked carefully at them and the handwork is so marvellous so that it overtakes what I saw in the picture in the site.I am feeling a new, strong and positive energy. I send you both a greeting full of love and light from Germany. I am happy to report that the pendant has arrived and I am as pleased as I expected to be with the product. between us and can assure you that it is now not an issue. My sincerest best wishes to David,you and all your staff. I am sure that we will be in contact again.
" Thank you, I received my Christ Consciousness grid, it is just lovely! thanks again and blessings---Heidi "
" It has come! I am so excited! It is beautiful! thank you!!!!!!! Love light and rainbows!!! " I have received this day, Merkaba 14 points silver medium. This morning I received items. What a wonderful day! We are excited about the David's great work. Thanks to everyone who was involved in until I receive the items. We appreciate all of your wonderful work. Please give my best regards to David. your help and working with me through the ordering process.
" Thank you so much! I love my new necklace! Outstanding craftsmanship!!! Thank you "
" I received my two necklaces today. Thank you. They are beautiful. Shalom. Marica McCauley "
I forgot to say to you that I received the pendant merkaba which David sent me.
" Hi. I just got the traveller's prayer key pendant - and it is very beautiful, very meaningful. Thank you - please tell David how pleased I am with it - and that I got it in time for my trip! Shalom, Barbara "
I just want to let you know that I've recived my ring, it's absolutely wonderful. I also found out that I should have ordered one size smaller, but that's OK. I'll take it to our local Jewelry store to reduce the size.
" Hello Yaron, I received my 2 Genesa crystal pendants with chain today.They are beautiful! I bought one for my friend\&apos;s birthday and one for myself. You have been such a pleasure to do business with. Thank you so much. I just wanted to let you know that I have received the order and it is amazing! Thank you so much again for a work of such quality and beauty.
" I received the pendant (& chain) today and it’s quite beautiful. Thank you so much. Thanks also for your wonderful customer service. I’m quite sure I’ll be back to buy a piece from David’s new Tarot collection.
" I wanted you to know that I recieved my order. It's beautiful and I look forward to doing business with you again. I'm sure my friend David will very much appreciate this gift, thanks so much for the oppurtunity of allowing me to give him such a unique meaningful gift.
" Thank you so much for your prompt emails and service. The order just arrived today. The ring is absolutely exquisite - it looks far better in person than online. And my girlfriend loves it. Give David my regards, he truly is a artist "
" Note to say I picked up the Golden Ratio pendants from my mom's house today, and they are gorgeous! Wonderful craftsmanship and very nicely packaged. It was a pleasure purchasing from you and I'll keep an eye on your site in the future, for sure! Thank you so much!! " " Hello how are you doing, I hope all is well! I have received my order today and I have one word to describe how I felt AMAZING! Everything looks well and I have nothing but good things to say about you, David and your company. After I received it I called my mother and told her to find something she wants on your web site and I will buy it for her. Thank you very much! How do I bless the gifts I have received or are they already blessed? I received the 3 pieces I ordered today. I am so pleased. I am giving the God's word piece to a dear friend who has always looked out for me and is devoted to God and Israel. I hope she gets much joy from it. I am very happy with the Flower of Life and Merkaba pendants. I will let you know if there are any changes I perceive. Thank you for making such thoughtful jewelry. I very much appreciated the scrolls included and all the deep analysis the scrolls provided. Just a note to tell you that I received this beautiful piece of art. You can tell David that his work is marvelous.
" Dear all, I have just received my silver gordian knot and I really love it. It is absolutely perfect! Thank you so much. Keep up your good work. Best regards, Jens "
I received my order last thursday, so once again it came exactly one week after it was send. I'm very pleased with my ring. It looks great. Sorry I didn't have time to write sooner, but my graduation test is on Friday so I'm a little busy with that. The ring gives me the confidence that everyhing is going to go well. I'll be definitly ordering from you again. Till next time, bye "
" hey i got the necklace. It looks great my girlfriend with love. You guys are a great company keep it up! " Recieved my order yesterday and could not be more satisfied! I will be back! Thank you so much!
" I got the order a few days ago and it was beautiful work as always. My compliments to David. Thank you both very much. I received the package today. Thank you very much. Im very happy with the order and that it came before my holidays. I couldnt imagine the jewelery to be more beautiful and im very satisfied with your service. He received it, thank you so much! He loves the pendant, as always beautiful work!
" I have received my four winds ring, it is beautiful! thankyou "
Thank you and David very much. It’s beautiful. I received the package friday. It is lovely. Just to say that my Journey of Life Ring arrived safe and sound today. To say that I am happy is an understatement. The craftsmanship is superb and sits well on my finger and looks fantastic!. Thank you so much, for another piece of first rate jewellery that I will enjoy wearing for many years to come. Please feel free to use this is you wish to. I received the package today. Very fast!!! I love the way they look. The pendant is much prettier in person. Much more delicate than I thought. Chris and I will take pictures and send to you when I give it to him for his birthday. Just to let you know I received my Fruit of life pendant ages ago and very fast too. Really amazing that is - the delivery time and the pendant. So thank you very very much indeed!!! The earrings arrived today – and they are beautiful. I received my ring yesterday and it is beautiful. It fits perfectly and is striking on my finger. I look forward to purchasing other pieces. I apologize for not writing sooner — my ring and pendant arrived last Friday. I just love them. So beautiful! Now you know they arrived safely and I am thrilled with them. Thanks so much! I got the package yesterday, so soon! I am really happy with the ring, it suits me and makes me smile in my heart. Thanks a lot to David and you.
" hi there Yaron.. just letting you know my order arrived in todays mail... please thank David again for a wonderful piece of craftmanship, the ring is already on my finger.. to you both and all at Ka Gold Jewelry a big thankyou and many blessings for us all... jules "
I just wanted to say how absolutely delighted I am with my pendant, which I collected today. Both my husband and me were so impressed with the detail and the quality of the work - thank you! We will certainly be back in the future and will recommend Ka to our friends. pendant is absolutely stunning. I love both pieces, because I believe in the cosmic consciousness. Lots of blessings to you both. PS: I am sure I will be back for more "
" I received my pendant today, and is beautiful. Thank you! " " A BIG THANK YOU! To you and David for getting my daughter's order out so quickly. She received it today and JUST IN TIME! She's at a resort-like place and she said she's already had people asking her where she got the unusual, beautiful jewelry. She's sending them to your website! And we'll be back buying more as well. I'm sorry I didn't write you sooner. The ring arrived and when we presented it to my daughter, she loved it! The size was perfect too. She was amazed at the story that came with the ring. And when she went to your website and read about the lotus flower and the story behind each stone, she agreed that the one we picked was perfect for her. Also, the packaging the ring came in was very impressive. It made for a beautiful gift. Thank you and David Weitzman from making my daughter's graduation gift a unique and memorable one. Many blessings to each and everyone of you for the beautiful gifts you make available to everyone. Just to let you know that our rings and pendant arrived safely today (just in time for my treatment which will likely start tomorrow), we are delighted with them, please thank David for his hard work!
" as always thank you for your courtesy and promptness. I received the Lotus Ring yesterday and I must say it has quickly become my favorite. The intricate engraving David performed is absolutely wonderful,magnificent.I will wear it as often as I can and recall the symbol of the Lotus. I just received my nautilus pendant today. It actually came yesterday but I was not home to sign for it. Thank you for the very speedy shipment and delivery. You guys did a great job! We are really satisfied with the rings. There will be new order soon.
" Lovely necklace arrived today and I am thrilled. Received the 5 metal ring today, thank you! very different and especial indeed. It was a great pleasure for me to deal with you!
" I received my necklace and I love it! thank you :) "
Just received the rings today! They're perfect! Please thank David for me, and thank you once again for your great service! We'll have pictures after the ceremony, and we'll make sure to send some to you. " " The order has arrived and Brigitte my friend was very happy to recieved it. Just somme words to let you know I've got the ring, everything is fine, It's really nice, thanks!
" The flower of life piece is beautiful. I got it for my father's birthday. He loves it. Thank you so much "
" Hey sorry I forgot to let you know earlier. I received the F.O.L Pendant last week in good condition. We received the rings today, they fit perfect! Thanks to david you for the rings and to you for your special care. My order arrived first thing this morning,that was so quick!!!! Thank you,it's all fantastic as usual.It feels so special to have a talisman with my name inscribed on the silver inside,I will treasure it.Thank David so much for his wonderful work.I promise when I have mastered the technology that I will send some photographs!
" Thank you Yaron, I have recieved my ring and it's perfect once again! I also got some coupons with a discount that I might use later. Karen "
The ring arrived safely. It is quite lovely. Please give David my thanks. I also wish to thank you for all of your help.
" I've received my seven metals Chaldean talisman and it is beautiful. Thank you for making beautiful jewelry. I will come back for more.
" Thank you, thank you. The piece arrived last week and it is perfect. I deeply appreciate David breathing life into the design, and I am touched by how many different energies had to come together to manifest this pendant. Please pass along my gratitude. Thank you too for all your prompt replies to my emails and questions, and for always insuring that I was kept in the loop during the process. You made everything appear seamless. Our order was delivered to us this morning in a perfect state. Good work my friends, and very nice packaging. Thank you very much for your fastness too.
" the ring arrived today and i am very happy with it! Thank you and blessings! I received my pendants this week and love them. Just wanted to let you know that I received my beautiful Tao ring yesterday and it is everything that I hoped it would be plus more! I absolutely love it. It fits perfectly, looks stunning and it will never come off my hand! Thank you so much! therefore we'll gift this nice Phi pendants right in the day of Ceremony! Thank you so much for your inspired work and good luck!!
" hello, I have received the ring two days ago and it's amazing. I am wearing it all the time and have noticed that I have more clarity in making right decisions. It’s very difficult to explain but I know that it gives me an extra “something”. It has come at the right time when I am facing lots of challenges in many aspects of my life. David, thank you for producing this wonderful jewellery with a spiritual purpose. Lots of love Zorica "
Thank you, I've received the pendants!
" I received my ring yesterday and it is beautiful, thank you so much for all that you do "
Thanks !!! The pendant is great !!! I love it !!! And I really appreciate the level of service that you, guys, are providing to your clients !!! Again, many thanks for all your skills and efforts !!!! just to let you know i have received my order and to say 'as always' THANKYOU VERY MUCH for the beautiful pieces. i adore the jewelry you make and have bought it for both myself and also as gifts for loved ones. thankyou again and my best wishes to you all.
" Just received the piece today. It is beautiful! Thank you.
" got my order yesterday...& they are stunning! I can't wait to give the gifts!! The pendant arrived and is another powerful piece. I just wanted to let you know that I received my pendant yesterday and it's wonderful! I am very happy with it!
" Greetings and blessings to you both. I got my ring today, and it is a work of beauty. I want to thank David for taking the time to make it for me and you Yaron for patience with me. Please say a prayer for me , as I keep you both in mines. Once again thank you both so much. I have now received the wonderful talisman. It is truely great. The Order has arrived me yesterday. I`m satisfied for the good work,it looks like the pictures at your shop! I had a littlebit trouble to get the package,while you has sendet the order to Nr.11, not to Nr.8b. Nr.8b is the home of my grandma,she is at home all the time. Nr.11 is my home,but i life actualy by my girlfriend in another ditrict of the town. So I,m not often at home. Well, I`m glad now to have it, and i will recome your site to my friends. Please tell David, I,m very satisfied. This could be interresing for you. Please google: Lightlife-Tools or Slim Spuling. He was a good Friend of Drunvalo Melchizedek and the Inventor of the Lightlife-Tools. The Tools bringing Health,Peace and Freedom to the planet.
" I am writing to let you know that my beautiful ring arrived today. Thank you so much, I could tell a lot of work went into making this ring. I appreciate the work David put into this work of art!! Blessing to you all!! " " I have the ring, is everything ok. I really like the ring, its a very good work ! I'm happy with it. " " I have recieved the ring, and it is very nice. I am wearing it right now "
I am very glad to tell you we recieved your parcel today. Thank you very much, the jewels are precious and inspiring. We will wear them with love and respect. The necklace has been received, and i just wanted to thank you for your kind and prompt service. Best Regards, Shalom ve Lehitraot! I received the pendant from you last week and it is very nice. I received the package today!! And the jewelry is magnificent! Beautiful! I am very happy with it and look forward to give them as a present in a few days. Thank you very much for taking care and please give my thanks to David as well.
" Hi, Yaron! I just (literally!) received my Chaldean pendant. It is beyond awesome! I could feel its energy when I took it out of the box and held it in my hand. And of course, it is beautiful! All the best, Wallis "
" Thanks! I received the necklaces yesterday. They are perfect.
" I received the necklace. It is beautiful! I will be proud to wear it! Just letting you know I received the package already a couple of days ago with all them items. They are all so beautiful like always, and the magic touch hand made technique always admiring that real natural beauty work, pretty interesting work how is made the 7 metals Chaldean it has something unique about it. Thank you so much for everything again. Peace, love & light!!! " I received JOURNEY OF LIFE ring today 6/3/09 and that is absolutely gorgeous. Also, ring fits perfectly on my finger!!!
" Sorry for my late reply. I wish to thank you for the purchase, the bracelet arrived one week ago. It is very nice and special for me.
" It received yesterday. It arrived safely. They were very great accessories. I attached to the body instantly. Although I was quarreling with the partner from several days before, I have become reconciled. It is felt that I have energy peculiar to each accessories. It is very wonderful and pleasing. Since I still have many things needed in your store, I need your help well. I appreciate from the bottom of my heart. May much love and light, and joy there be!
" The order arrived today and is really beautiful! Thank you so much, the quality is fantastic and looks great, a terrific value. I would recommend you to anyone who asks...and I\&apos;m sure many people will ask me where I got such a unique piece!
" Package received; thank you. It is quite beautiful and certainly will delight my grandson! I received both pieces today and find them exquisite. Thank you! Thanks again guys!! You have much to be proud of, and it was a true pleasure! I assure you, we'll talk again.
" I've recieved the package ! It's wonderful ! Please thank David very much for this beautiful gift to myself! I just received my ring, it's beautiful! My daughter's name is Lotus and it was my first Mother's Day gift; so it means a great deal. Thank you so much. Billie "
" I received my Gordian Knot Pendant just now, and have it safely around my neck. Since ordering the first one for my friend, Tracy, she sold her house and has moved to Hawaii. I just bought my FIRST house and am moving in this weekend. Thanks for all the wonderful energy you bestow into your creations!
" I JUST GOT IT!!! 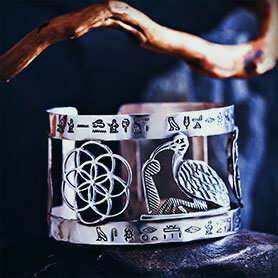 I am a healer and I have been working with the miracle of this symbol...and I am SO honored to wear this peice! I really believe this planet needs this energy! Thank you thank you thank you! Todah! I have just accepted my nice pendant today. I hope that he will protect me because I have some problems of health nowadays... Thanks a lot for the quick and well-manicured dispatch. Excuse my english so bad! I have received my order. everything looks wonderful. I will be giving the jewelry as gifts to my bridesmaid's. They are perfect. Thanks.
" hi, received ring on 5/23/09 - very nice. I received my order and I am absolutly delighted about those wonderful and powerful jewels, thank you very much ! Received the pendant today. Thanks very much for all your efforts. It's perfect and much appreciated. Will reccomend you. I received my pendant Monday afternoon. It's beautiful and nice to own and put next to my heart. To my suprise, I was watching a movie and there was a large Genesa Crystal sphere in the background of one of the scenes. Thanks, I'll cherish it with all my heart. Many Blessings. I received my ring on friday. Thank you so very much!! It's beautiful.
" I did receive the package. It was a pleasure doing business. Looking forward to buy other products.
" Hi I recieved this piece today..it looks beautiful and I am wearing it now..I hope it works for me! I will keep you guys posted. Thank you so much. " It arrived safely early Saturday morning! It is beautiful and I am already wearing Hunab Ku at work this morning. Thank you also for having mentioned "gift" for the custom. So I did not have to pay any tax customs in Switzerland.
" Please thank David, The squares ring is stunning!I received it on May 13.this will certainly not be my last orderings and blessings to you all. Angela Rosenberg "
" My Torus knot arrived this morning, and it's even more beautiful in person! Best regards to you and David. I will cherish it, thank you. " Yesterday I received my order. The Genesa Chrystal and the Tibetan Om are wonderful and I am so glad to have something specially made. Thank you for good service and David for excellent work.
" I received the order today. The rings are wonderful. Thank you very much. I have well received the jewels and I thank you very much for it. Already weared them. I received my order today - can't believe how quick it was! Please tell David that I love it all very much. I am an artist and really appreciate the effort and quality of all of it, especially the torus and phi pendants which are fantastic. I received the pendant. Thank you so much. It is beautiful - as always. Blessings to you and David. I received that pendant today. I'll send the ring soon, for repair :-) "
Yesterday I received the jewelry: the I love therefor I am ring and the star of david pendant. They are both very beautiful! I feel great when I'm wearing the ring; and I hope the pendant will bring my mother peace and protection. I have received the two rings today! They are beautiful and fit perfectly, thank you so much! I redeived the ring and i am very happy ! I want to thank you all for the hight quality service you provide. I received the ring today. It is absolutely beautiful. It brought a fullness and peace to my life. Please thank David for prompt production and excellent workmanship. I look forward to go back to your site to see more new designs. Thank you for your thorough customer service as always. I just wanted to let you know I received my beautiful pendants. Thank you so much for the exquisite pieces. My parcel has arrived, thanks to all involved the items are truly wonderful, such beauty and meaning they are a joy. I just received my order for Christ Conciousness and Genesa Crystal in Silver. What incredibly beautiful works they both are! As soon as I put on the first one I have felt differently(better!)immediately. One question--How do I program the Genesa? In the not too distant future I hope to order them in gold as well. Thank you so much! These are defintely worth the wait! May the peace of the Most High be upon you! Yours sincerely, Linda K. "
" I received the beautiful ring the same day that I sent this message below to you. Thank you so much for your response. Great customer service. I received my order! Thankyou! And thanks to David! I love it!! I received the piece yesterday, thanks!
" I just got my order and I LOVE IT! Anyway, thank you. I love the piece. It's beautiful and the energy is wonderful. I can feel it was made with wonderful intention. My friend loved the piece she ordered from you as well. I'm sure you will hear from both of us again. Today I received the beautiful Jewelry! Thank you all so much for your effort and loving care. the beautifull ring did just arrive and i m very happy with it !!!!!!!!!
" My wife has received the package in the mail yesterday. Thank you all at Ka Gold Jewelry for your great service and products! " " Just received it today, in time for Mother's Day. Thank you very much for taking the trouble to ensure my Mom will have it on the day! 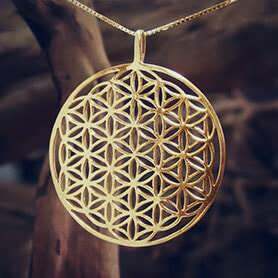 The flower of life pendant is really lovely; she will be thrilled. I received my order now and I am really impressed! Please have a look at the attached pictures, no words can describe the real beauty of these extraordinary pieces of jewelry. I really feel the energy and power behind when I wear it. Thank you David, thank you Yaron for all of this. I am sure, we will hear from each other in the future.
" I am so happy to tell you that I received my order today. I must say that it holds a wonderful energy and it feels like it was made just for me. Lily Grinsberg "
" Received what i consider to be the perfect mother's day gift from you folks on saturday the 2nd of may. It's fabulous! 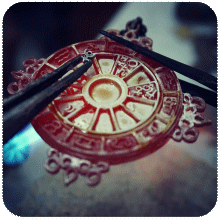 Thanks again for your continued efforts to restore sacred meaning to the art of jewelry creation. -I received the flower of life today. Thank you so much. Please tell David it is exquisite. Love Mary "
The necklaces arrived yesterday, and they are gorgeous. I can't wait to give them as gifts. The ceremony is tomorrow. Thank you again. Received my 3 Christ Consciousness pendants yesterday. As always, I'm thrilled with David's work. Gorgeous jewelry and perfect gifts. I am sorry in my delay to confirm that I have received my ring! First, let me begin by saying this is one of the most beautiful pieces of fine jewelry that I have ever seen. It is just amazing! It is even more wonderful than I imagined it to be. The photos do not do this ring justice. It is just a wonderful piece. The lotus flowers on the sides are so nice and the shine and smoothness of the gold. The contours and how amazing it looks on my finger. The Iolite stone is nothing short of breathtaking. I am soooo happy that I made that choice. I can see it being just as wonderful with any other stone as well. This stone holds very special meaning for me and the quality is the best. I can not tell you how much more the ring means with the special engraving that David did for me. I only wish I had ordered in 18k but I was worried that it would scratch easily as I wear my rings everyday. I intend to take photos of the ring and place them on my MySpace page and my Facebook page if that is ok with you that is. I want everyone to see this work of art and know where to purchase one of their very own. David, you have a lifetime customer now in me and I hope to inspire many more to come to your web storefront! I received the package today, I'm very happy thank you!! Both pieces are so beautiful. I am giving the merkaba to a friend. She will love it. I received the piece today and it is lovely!!!! thank you so much for this beautiful piece of joy! My order is well come. Thank you. I want to thank you for this wonderful gift, your work of love for the truth must reconciled humanity to God Israel. I received my order this morning! 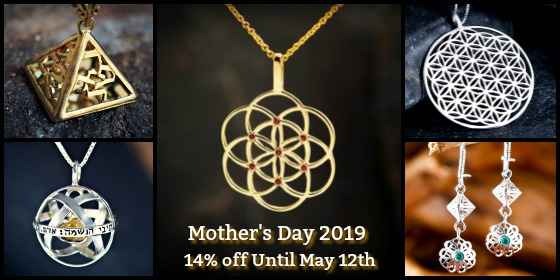 I really love the flower of life pendant and the others too! Your site will stay in my favoris for a long time! !Thanks a lot. Take care of you. "A bientôt." Many blessings, Olivier D. "
I recieved the rings today. They are perfect! Thanks so much and I plan on purchasing more soon and have also shared your site with friends! Today I received the present for my girlfriend. The good-bye party was yesterday (then we wanted to give it) but she leaves friday so I'am very pleased it is in time. I received my silver Tao ring today and it is beautiful! It fits perfectly - thank you so much. I am very happy to have it. My daughter received the ring today and said she likes it just the way it is, so there is no need to replace it. However, your kind offer is much appreciated.
" Thank you very much, we received the beautifull medallion. It is very much to our liking ! Susanne and Frank, The Netherlands "
I got the Flower of Life pendant today,its energy is so very strong ,I will probably just wear it during meditational time or sleep,it's beautiful!! Thank you - Cindy "
Everything came just in time. I recieved the Merkaba--yesterday...It is so powerful..I feel the love vibration--it brings me to tears!! I will use this sacred piece of jewelry wisely..You have in me a life long customer. It attracts great good--I also feel very protected..I will tell my friends about this...I honor you...Blessings and Peace.. I was going to wait until I recieved the next pendant before I wrote to you but,I had to let you know that I have recieved the little silver merkaba pendant and the silver star of David,for my son[he loves it].I felt energy from the pendant as soon as I held it,the first day that I wore it,whenever I would touch it or roll it around between my fingers,I would laugh[for no reason]just soft laughter.This was only when I was alone[thank goodness].Also I have been praying to God,to be able to stop smoking cigarettes,4 days after wearing the merkaba,I stopped smoking!This healing pendant of yours is an answer to my prayers,I will let you know later what else happens.----- Cindy "
" hey, thanks for the response, but i actually received the package today and i love it!!! thank you sooo much!! " " Hi David. I receive the jewelry. Tank you very much I love it! Blessings. Nata Yanoff "
Just to let you know that I received the beautiful ring today. Thank you for your very speedy service and excellent communication. This week I received the beautiful ring. I’m very grateful that I can wear such a beautiful gift. It felt very special to me when I put it on my finger, as if we knew each other already. We have just received the pendant in the mail and it is beautiful. Tell David that his work is very much appreciated and that we look forward to giving our neice this small token of our love. Gil Meeker and Family "
I have received the pendant a couple of weeks ago and I am very pleased with it. Thank you for excellent work.
" David, I received my order, thank you for your pretty work and safe service, congratulations!!!
" They Arrived today, an they are Absolutely beautiful cant wait to wear them, and use them "
I received it yesterday, it is wonderful!!! The ring is so beautiful! Lot of thanks to David for this beautiful work. Thank you very much for everything, I will send you some photos within this week. 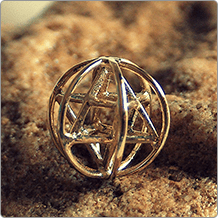 Thank you very much for sending the Golden Spiral pendant in time! My friend was moved by the beauty of the present. I'm very happy with David's work an your service. I received today the ring. Thank you very much for finding the white labradorite stone, I’m really pleased!! This is very special to me and thank you for the beautiful ring. I’m wearing it already. Hope to order at your shop again in the future. Have a good Easter weekend.
" Yesterday I received the beautifull package! Thank you once again for being you! thank you so much :-D "
" I received my ring and love it. Thank you! I just wanted to let you know that everything arrived here safely yesterday afternoon. Just in time for Passover- as you had promised. Thank you so much! All things are beautiful. Have a good holiday time! I will contact you later about a special order. The order was recieved on last friday, 3rd of April, and like usual, its looks excellent! I can't wait to give them to Karin, my wife. But she has to wait till the 20st of April, our 19th. anniversary. Many thanks, and till the next order! Received the necklace, and gave it to my friend for her birthday. She loved it! Please tell David, that she really, really liked it. thank you so much, I have picked up this morning. my friend will be delighted by it. Please transmit all our warm thanks to David and also to you. I received the items now. They stayed for a long time with the customs. Wishing you both all the very best!!!!
" Thank You - we have received the wonderful items. I have a question - is it possible to take the "will you change it" emblem attached to the bottom of the "Mother Earth" piece and make it into a piece of it's own for my husband to wear? I would be willing to buy many of these if you can make it. Yesterday I received the dragon. It´s really very nice. I received the FOL pendant yesterday. I am think it is very beautiful and I know I will enjoy wearing it everyday! Peace and Happiness to you both!
" I wanted to let you know that the order just arrived in perfect condition. They are beautiful and am very appreciative! Thank you so much and my compliments to David and his excellent work. Peter Van Der Zanden "
" It got here yesterday and I love it. Thank you very much and for taking care of my "special needs." shalom, Judy Chessin "
Please accept my appology for not responding sooner. I did receive my beautiful jewelry on 3-13-09. Please tell David that his work is inspiring as well as well as outstanding! Chag Pesah Sameach next week.
" i have recieved the amulet and it is wonderful. Give david my thanks. " yesterday I received my order and my heart is full with joy and love. The jewlery is realy special and beautiful, and I am very happy to have it. I can not wait to order some more pendants and rings from your site. Is there somebody who can give me advice about pendants for children? 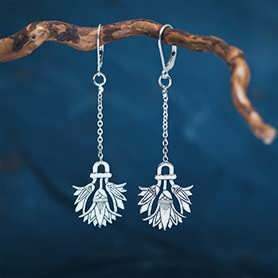 do you have any advice for some other pendant that would be for them. joy that it brought to my life. We have received the ring, and are very happy with it. Thanks for a jop well done, as well as good service.
" Hello , how are you? The last saturday I have picked up the pieces. thank you so much, really, the pieces are beautiful and the person i give them to, well... she really liked them a lot! my fingers. As always, I am very satisfied, and thanks to you and David for another great job. The envelope with the Jewelry arrived on Friday and I was able to pick it up at the post office yesterday. Everything was in perfect order! Thank you! Toda rabah meod to David for the precious designs!
" Hi. Thanx you for your great service. My father got the ring and he's verry happy. Bye and thank you "
" just to let you know i finally recieved the ring and my partner loves it. Package received this afternoon and everything is beautiful. I could not be more thrilled. It is quite exciting to order gifts for someone and be certain they will be as pleased as I am when they see them!! And the order came in time for me to deliver to my friend before she travels so that is wonderful. I am already making my list for my next order! Thank you so much for your kind assistance. he finds it attached to the rest of the world." - John Muir "
I have received the pendant, it is beautiful. Thank you for all your time and effot. Hope to do business with you again . I AM GLAD TO TELL YOU THAT I HAVE JUST RECEIVED MY RING AND THAT, AS ALL THE THINGS YOU MAKE, IT IS BEAUTIFUL!!!!! Today the rings arrived. It was worth waiting for them; they' re beautyful. Would you thank David for me? Friday I'll see my mother again, she would be very glad with her birthdaypresent I suppose. When I was a child we lived with our family in Israël for a time, in the neighbourhood of Naharia. My mother had been back to Israël for several times. The last years of her life it's not possible anymore, because she became blind. So that's why she would love the ring I think, because she can feel the letters on it, remember her good times in those days and her good moments now. I received (and thoroughly enjoyed) your newsletter today. That reminded me that you had asked me to let you know when I received my eagerly awaited Bodhi ring. I don't recall the exact date, but I received it in a timely manner and I absolutely LOVE it. The few days I have left home without it, I have been unhappily aware of its absence each hour of the day. I have eagerly resigned myself to many future purchases from Ka. Thanks for your finely crafted ring, your personalized service, and your contributions to my spiritual life.
" I have received the necklace I ordered. It is beautiful, and it was the perfect gift for my friend. Thank you! I have received my order and truly love it. Thank you so very much. I'd just like to let you know that the pendant arrived a few days ago, quicker than I expected, and far exceeded any expectations that I tried not to have. The piece is beautiful and captivating and I was and still am buzzing with energy from the moment I received it. The necklace got stalled for a few days at the post office, but arrived finally today. Feels very sacred to me. My family is traveling to Israel next month and it will be accompanying me. I am without words to describe the feelings I have for the earrings that David made. These earrings are the most extraordinary pieces of art and protection that I have ever owned. They even surpass the necklace! Please tell David that I thank him from the bottom of my toes for the work and love and light and energy he put into my special request. It has made a woman with many troubles eased and smile. I was wondering, I thought I purchased the silver pendant to go with the earrings. Would you look into that for me as it never arrived. how are you doing i hope all is well. I have received my order and i am extremely pleased with it. I look forward to doing business with you again, and tell David i said thanks "
It is exactly as advertised….and beautiful! Many thanks….I shall certainly recommend you to others.
" Thank you the order has arrived and it is beautiful. Thank you very much - it is very nice. I'm writing to let you know that I received a pick-up note from the post office on Friday. It wasn't possible for me to get the post before yesterday, but now the jewlery is safely at home - and it is very beautiful. I received the jewelry yesterday. Thank you for such fast service. I just received the package and the jewelry is absolutely beautiful. Please pass on my gratitude to David for these artistic creations. We received everything and are very happy. They are really beautifully made. Thank you very much!!! I wanted to let you know that I received my order last week. The merkaba is very powerful and I felt its positive effects immediately. Thank you for this beautiful piece of jewelry. just letting you know that my pendand is here, it actually arriveded on thursday the 12th, but they held it at the tax office since yesterday (the 17th). It's really beautiful, even more than I thought it would be. Tomorrow I go on my trip, so thank you very much for your speed with this one. Just writing to let you know we got the rings today. They are beautiful. Thanks again for everything. " Thanks to Yaron and David, the pendant Flower of life arrived well, on Wednesday, March 18th. He is very attractive and I carry him since the arrival. I am very satifait there. Thank you very much for the sending of my order. It jewels is really magnificent and I am proud to carry wear him. I think of returning soon on your site. I do not forget the photo that you asked me. I recieved the ring last Friday. I am sorry I did not reply sonner, but I was sick last Thursday and did not feel very energetic the rest of the week. I think that the ring was made number 10, could you please confirm? It is just that I want to order more in the future -for my brother. Since things are mean to be this way, I can wear my ring in several of my fingers, which made me really happy. I am possitive that this year we will see changes in the laws that our group wants change. I think I should post the fact that the very same day that I put my ring on, the cist at the base of my middle finger emptied and so far seems like is not filling up again. I hope this is the end of this anoying little ball in my hand. My gratitude to all of you at Ka Gold Jewerly for your service and quality of work. yesterday i recived my order and i feel really glad for the finished work. give my congratulations to David.
" I am amazed at the quality and detail of the workmanship! Just wonderful, such beautiful rings, thank you! I've just received the five metals ring, yesterday. It looks very well. It is amazing. Dr. Edison Galárraga Pérez "
I received my order today and am very, very pleased with the intricate work David did on the pendants. I also appreciate the scrolls containing information about the pieces, and am especially appreciative of the coupons for discounts on future purchases. I am already planning my next purchase for the near future. You may share my testimony with others that David’s work is beautiful, full of wonderful energy, and the symbols he chooses to recreate transcend the boundaries of our cultures to unify the positive spirit of the global village. I just wanted to let you know I received the ring. I've had it a couple of weeks and I am very happy with it! I received the parcel, arrived yesterday. Received the jewelry last week - we have found it very inspirational. Please send our thanks to David, and we thank you also for the great service!
" I received my order on Tuesday March 10, 2009. Well my order arrived today. I am stunned at the beauty and craftmanship that has gone into making my ring. I am wearing it now and have already started telling my friends about you and advising them to look at your website. I am truley delighted with my purchase. Thank you both, very much! Blessings always, Elizabeth Harkness "
" TAO Ring arrived just minutes ago in perfect health! It fits my finger perfectly and it is just GREAT!! They joke I'm about to become the Lord of the Rings! Jokes aside, I'm very content with this Ring. It is beautiful as usual, fine piece of art and most of all it carries the signs that match my mind and heart perfectly. As you might have noticed, I do not care much for gold rather than silver or even steel. I spent some part of my life searching and writing about most ancient times when all Men shared the same philosophy, that's before the big social crash recalled as Original Sin by the Jews and as the fall of Atlantis in the Greek lore. 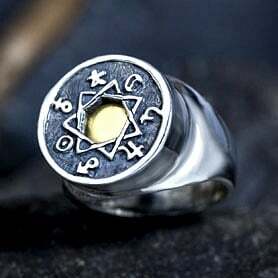 I wanted this Ring because it tells the same story and I feel I must deeply thank David for this most valuable symbol. His creative work will come out more important than it might seem now. Sergio Di Stefano / Rome, Italy "
sorry I did not back to you sooner but I will indeed send you pictures of the pendant being worn and will of course purchase again from you and David. Amazing service fabulous quality jewelry and the best out of country delivery I have ever encountered. Many thanks and blessings Tamara "
I have just received the ring. It is an awesome piece of work as usual . Thank you for sending so quickly the beautiful ring, I am very happy I received it this day, 09 March. I am really grateful. This morning I received the mail envelope containing the six Merkabahs, thanks again for your help. I would like to know if the coupon numbers for 5% discount will be valid for august, when we be back in Miami. One of the this beatifull pieces will be the february 14 gift for my wife. As I mentioned to you, next week we will go back to Mexico, and I have not time enought to order some more pieces from you. Unfotunately, I can not send to you an order to be mailed to Mexico because the risk is too hight, near surely will be stolen in the Customs or in the Mail. Please, give my congratulations to David, his works are really fine. Best wishes from Jose. " May you be blessed, and may all others be blessed by you and your Presence! Thank you so much for your amazing present, this time it's literally coming with my birthday! Just wanted to let you kow that my wife recieved the rings and said they are beautiful.
" I picked up the package from the post office today.